Hey girls, I have a new lip gloss to share with you guys and this is from the Herbal Lipgloss collection from Palladio. This is part of there new collection they released that included a bunch of amazing products. 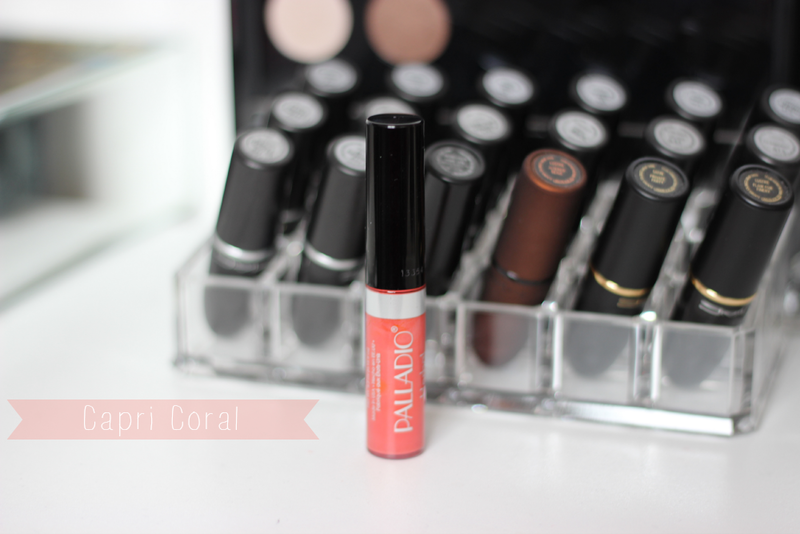 Today I will be reviewing the shade Capri Coral. Palladio Capri Coral $7.99: This color is a bright coral/red/orange shade. It has a mixture of different tones to it like red and orange. I first want to start off with the pigmentation of the lip gloss. It is seriously perfection. 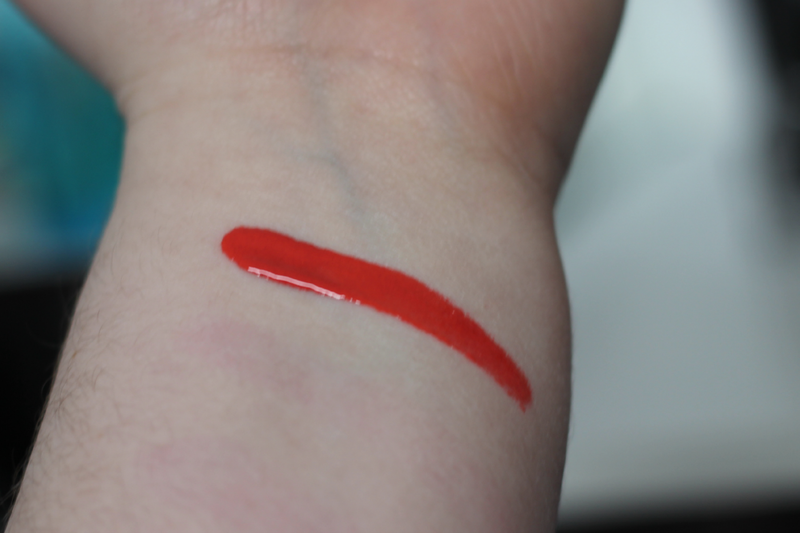 When I took a photo of the swatch for you guys I had only swiped the applicator once on my arm and the color pay off was just amazing. 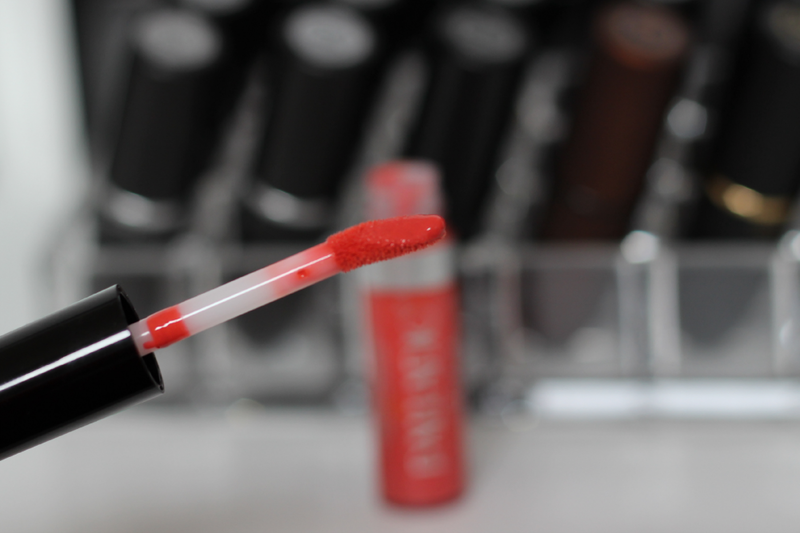 I have never seen such great pigmentation before in a lip gloss so I was very impressed. Secondly, this lip gloss was very moisturizing. It didn't appear sticky to me at all and just did a great job with moisturizing my lips. Another thing I really liked about this product is that the applicator was larger than a normal lipgloss applicator which made it extremely easy to apply and cover all over my lips. Overall I would give this lipgloss a big A+ rating because the quality is amazing and it is also extremely affordable.